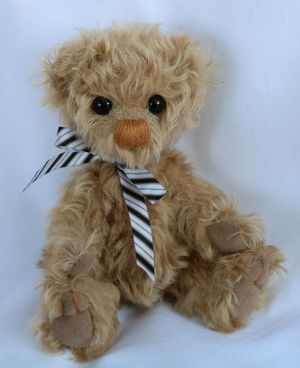 Hamilton is made from curly beige mohair. He is 8" tall. 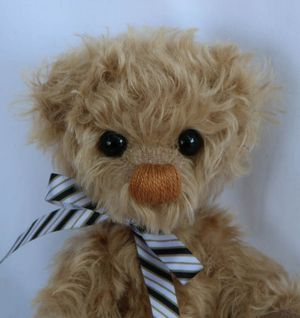 Hamilton has black glass eyes and a beige perle cotton nose with a scissor sculpted face. Hamilton has ultra suede paw and foot pads with pulled toes. He has a ribbon bow around his neck. He is 5 way jointed and stuffed with poly-fil. Hamilton was created 3 September 2017.